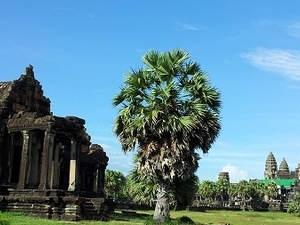 Siem Reap is one of the popular place in Cambodia for tourist to visit the 7 wonder of the world " Angkor Wat Temple". 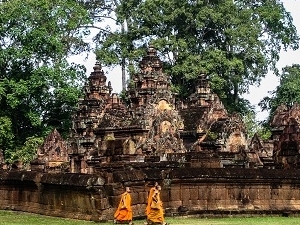 beside from Angkor Wat we have many temples surrounding concern of Angkor Era. Arrival Siem Reap international airport, welcome by our tour guide and transfer to check in hotel. Afternoon visit CHOUNG KNEAS one of natural tourisms and a mangroves for hundreds species of fresh water fishes and birds and decorated with ethnic stilted houses line over the water surface up to the air. 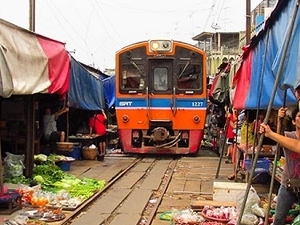 The villages are primarily Khmer and have about 3000 inhabitants between them, most of who live in stilted houses. 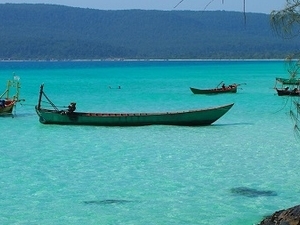 The people depend largely on fishing and tourism for their incomes. We embark on the traditional wooden boat through the flooded forests of the GREAT TONLE SAP LAKE, habitat of many bird species it will bring you to Chong Kneas. This amazing floating village is built on 8 to 10 m high stilts. We visit an island pagoda, a school and traditional stilt houses to interact with the local families. Return to Siem Reap for refreshment. 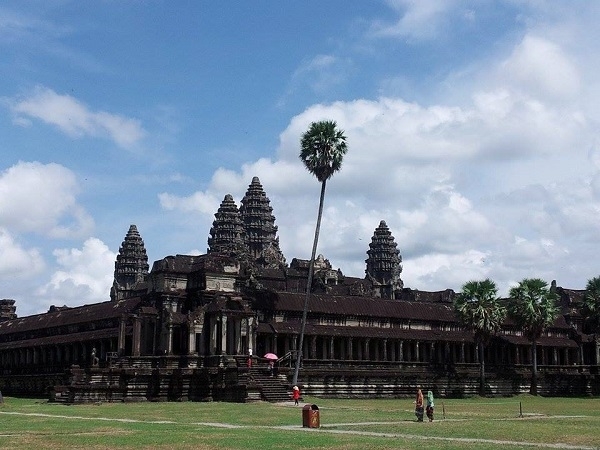 Breakfast at your hotel, Continue tour to the crowning jewel of Khmer architecture, ANGKOR WAT TEMPLE is the national symbol and the highlight of any visit to Cambodia. 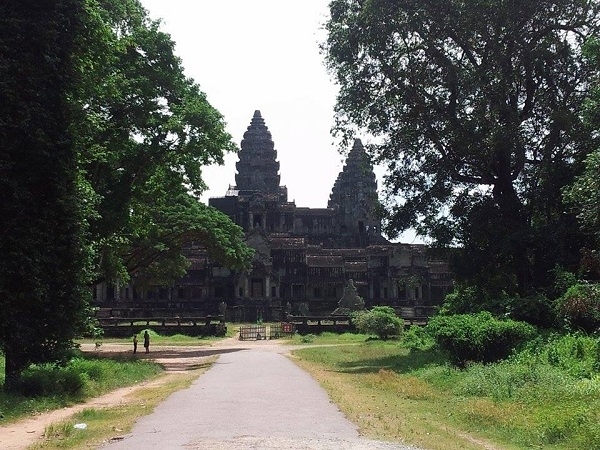 The largest, best preserved, and most religiously significant of the Angkor temples, Angkor impresses visitors both by its sheer scale and beautifully proportioned layout, as well as the delicate artistry of its carvings. To approach the temple, first cross the vast moat, continuing along a broad causeway lined with naga balustrades. As you enter the main building, ascend through a series of galleries and courtyard before reaching the central sanctuary, which offers beautiful views back over the causeway and across the surrounding countryside. 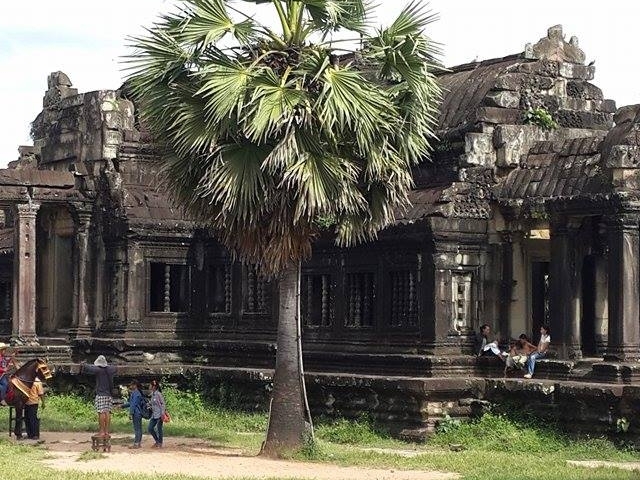 Visit TA PROHM TEMPLE, one of the most popular attractions of Angkor as much of the jungle has not been cleared and it looks very much as most of the Angkor monuments would have appeared when European explorers first stumbled across them. 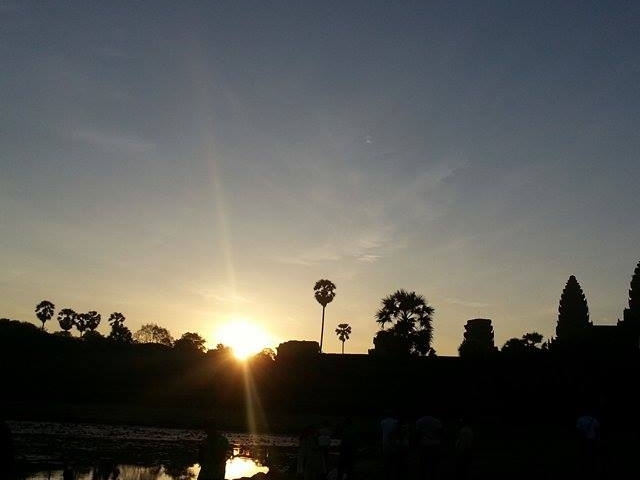 Afternoon visit ANGKOR THOM covers an area of 10 square km. 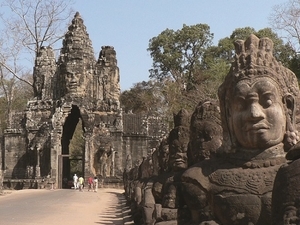 Enclosed by a wall and wide moats; the city includes many of Angkor's most popular sights. Enter by the monumental SOUTH GATE over a causeway lined on either side by statues of demons and gods, each carrying a giant naga. Continue to the TERRACE OF THE ELEPHANTS and the TERRACE OF THE LEPER KINGS, former spaces for public ceremonies, both adorned with dramatic bas reliefs. 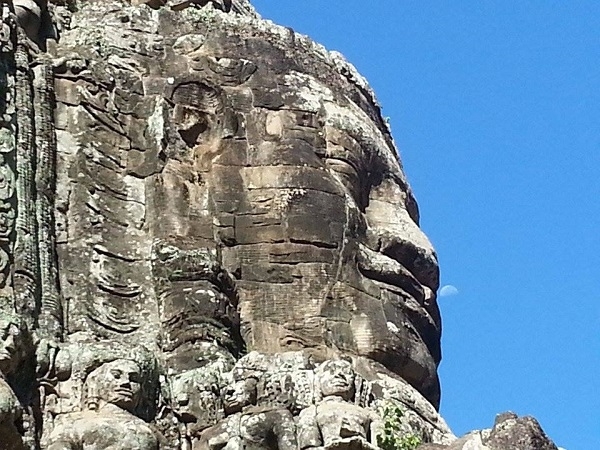 Visit the ruined BAPHUON, ROYAL ENCLOSURE and PHIMEANAKAS before continuing to the mysterious BAYON TEMPLE. 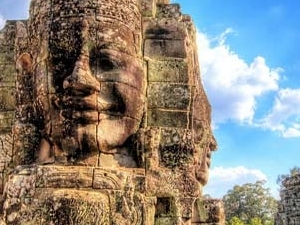 In this temple, one of the most popular and compelling in Angkor, explore the galleries of beautifully preserved bas reliefs and ascend narrow stairs to reach the central sanctuary, where you will find giant stone faces smiling enigmatically down at you from every angle. 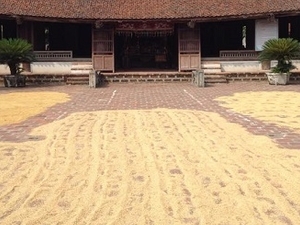 Breakfast at hotel, explore city tour to visit ANGKOR SILK FARM offers free guided tours of the process from the mulberry bushes cultivation to the production of silk fabrics and accessories. As the Silk Farm covers an area of 8 hectares, of which 5 are used for the mulberry trees plantation, you will enjoy the beautiful setting while learning about the fascinating process of silk-making. WEST BARAY is the largest man-made body of water at Angkor. 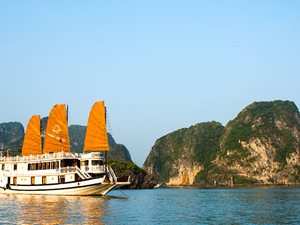 Visitors can hire a boat to take them to the island in the middle where West Mebon temple once stood. Today, only traces of it remain. But the island is a pleasant spot for a picnic or just walking around when water level is low. Alternatively, visitor can also go for a refreshing swim. And then ARTISAN D’ANGKOR has developed from the ambitious belief that it is possible to revive ancient Khmer Arts & Crafts while improving the lives of thousands of people living in rural areas. Afternoon transfer to Siem Reap airport departure to next destination. End tour at airport. > Less than 03days/now show - 100% of total holiday cost.